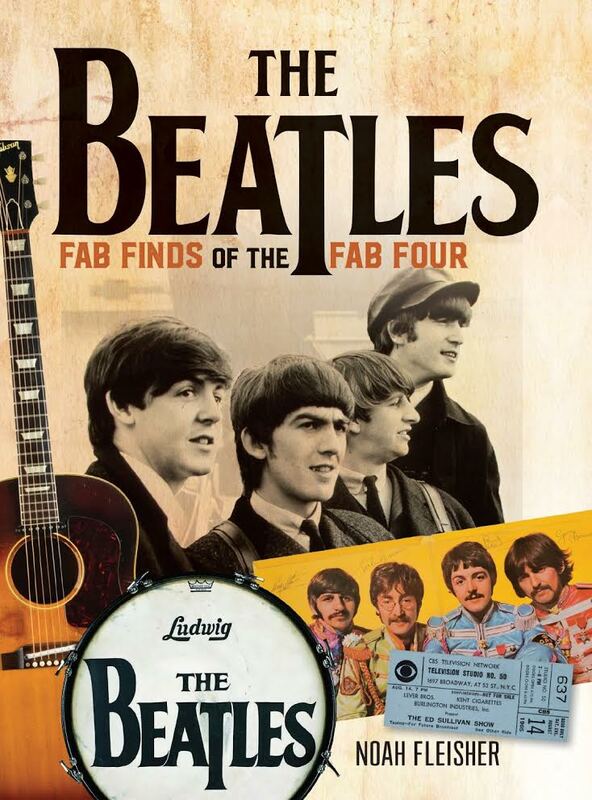 If your Beatle fan truly DOES have everything, then The Beatles: Fab Finds of the Fab Four will confirm it. And if they don’t, this book will provide an abundance of tempting new objects of desire to be on the lookout for. Either way, for old hands with large collections, or those just new to collecting, this is a book to dip into, browse and enjoy. Author Noah Fleisher had a front row seat to the amazing growth and skyrocketing value of all things associated with The Beatles. As the former Public Relations Director for the respected Heritage Auctions in the United States, and through his friendships with dealers and colleagues at other auction houses, Fleisher witnessed the emergence a new era of Beatlemania. He’s written numerous other books about collecting (on topics like Modern Furniture and Children’s Books), but his position within one of the top auction houses put him in the box seat to see and research first-hand thousands of collectable Beatle items over the years. 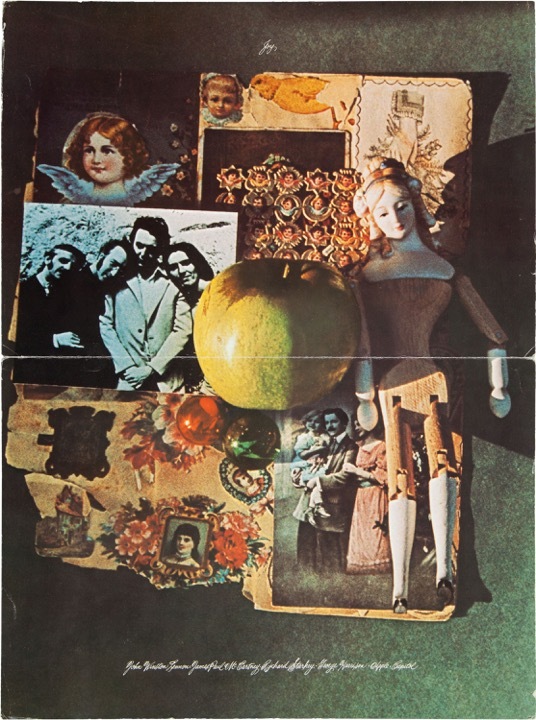 There are sections dealing with objects from the band’s early years, their instruments, their movies, photo shoots, merchandise, autographs, hand-written lyrics, and of course – the records, especially the rare ones. When you get the combination of records and autographs (see above for a couple of examples), then you’re talking about some very high-value auction items. Incidentally, the prices fetched for the various items in the book are mentioned throughout. 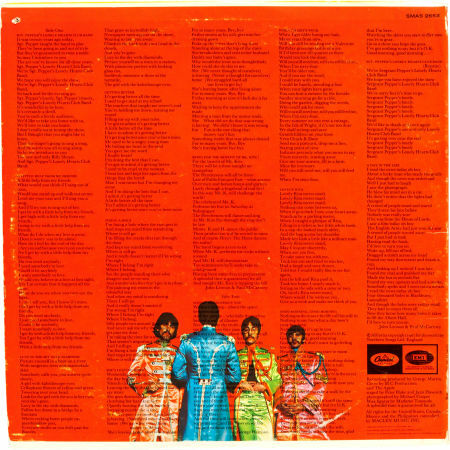 As it says on the rear cover (see below), The Beatles: Fab Finds of the Fab Four is filled with delights and insight. “Readers will discover John Lennon’s lost Gibson guitar now worth millions; the most expensive vinyl record in the world; the sculpted bust featured on the album Hey Jude – along with a fascinating and fun cache of rarities, oddities and never-before-seen items that tell anew the story of The Beatles”. 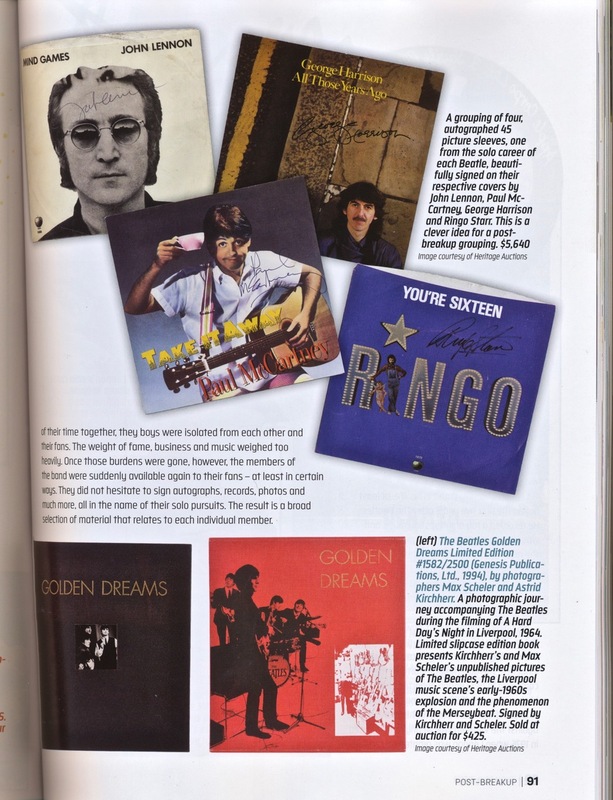 The section on Lennon’s Gibson J-160E steel string is expertly told by Andy Babiuk, author of the book Beatles Gear. There’s also a lengthy interview with Babiuk included, and lots of photographs of other guitars and drum kits that the Beatles used. 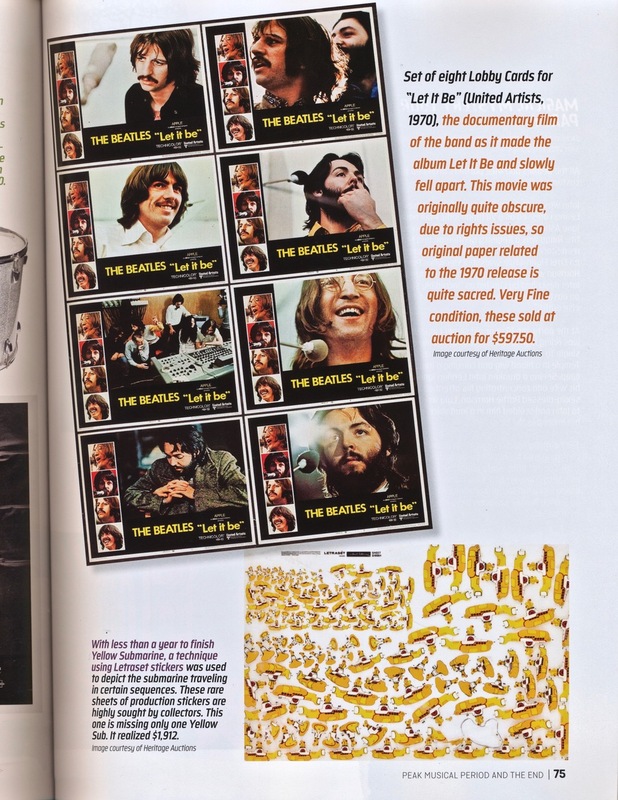 Showcasing more than 600 images from the top music auction houses in the world, and interviews with a wide array of experts and authors, The Beatles: Fab Finds of the Fab Four is not only a fun and wonderfully visual read but it’s a great reference and resource for fans and collectors alike. Highly recommended. (And if you’d like to have a further “look inside”, visit Amazon). 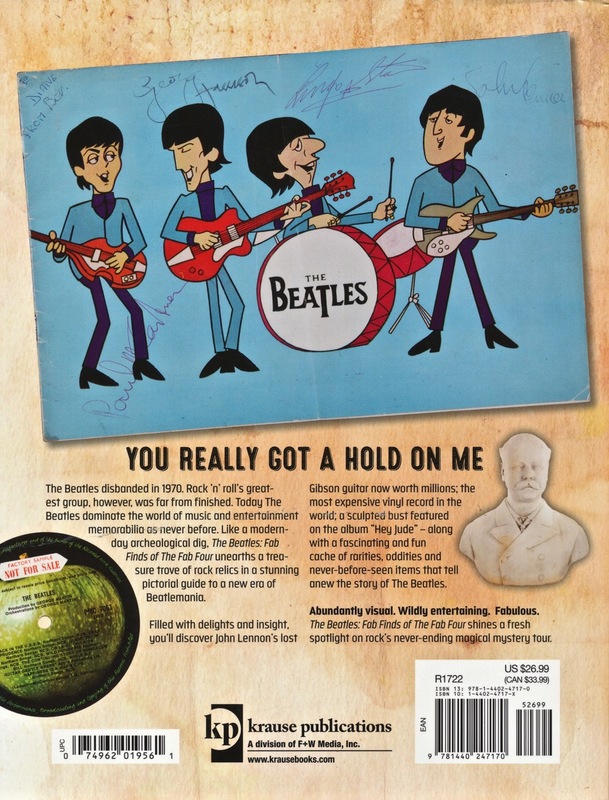 There’s an interesting auction of some cool Beatle items coming up at Heritage Auctions in the USA on June 24 and 25. The auction is part of a much larger entertainment consignment. The Beatles section starts here. Amongst the autographs, photographs, ticket stubs and records on offer are two items that caught our eye. 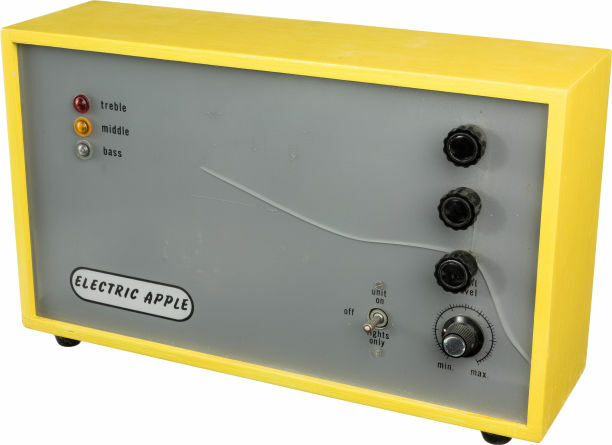 Second was this very rare example of a working prototype device that Apple employee (and so-called “electronics wizard”) Magic Alex actually produced: As the auction site says: Yanni Alexis “Magic Alex” Mardas was associated with the Beatles during the 1965-1969 period, part of that time as head of Apple Electronics, which was a money-losing failure. He impressed the Beatles, especially John Lennon who coined his nickname, with his gadgets and big ideas to revolutionize the consumer electronics business. 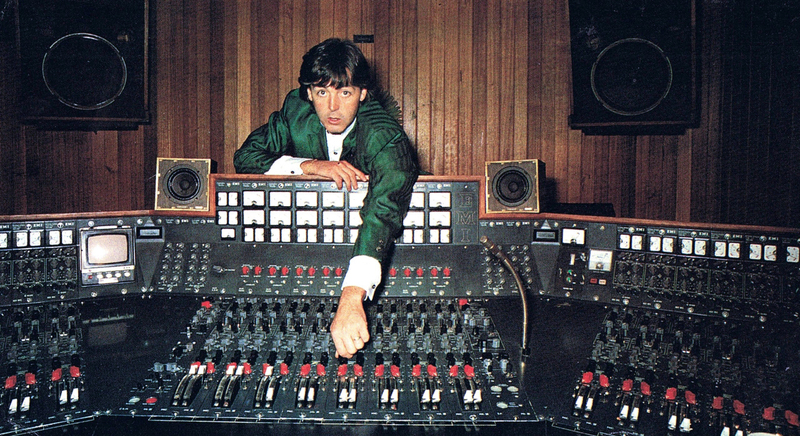 Mardas claimed he could build them a 72-track recording studio which never materialized. Other of his ideas that never quite worked out include: a flying saucer, loudspeaker wallpaper, a personal pocket force field, invisible paint, and color-changing paint…. The Beatles’ first recording contract, part of a just-concluded New York auction of items from the Uwe Blaschke Collection, has sold for an impressive US$93,750. It went to an unknown internet bidder, but fell short of the predicted US$150,000 target. 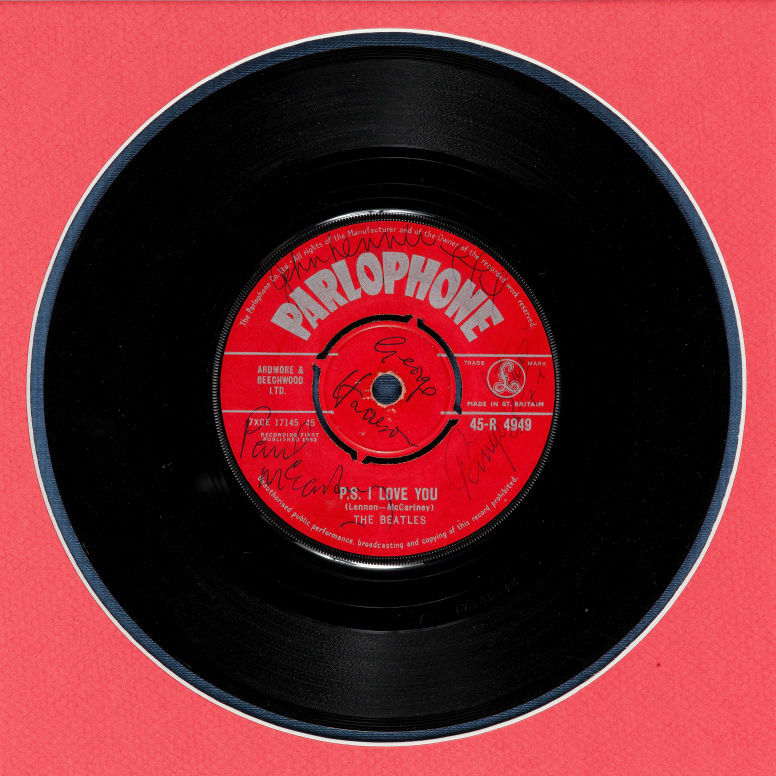 The 1961 contract, signed by all four members of the group at that time (John Lennon, Paul McCartney, George Harrison and Pete Best), was for a recording session with the Polydor company in Germany and produced the single ‘My Bonnie’. 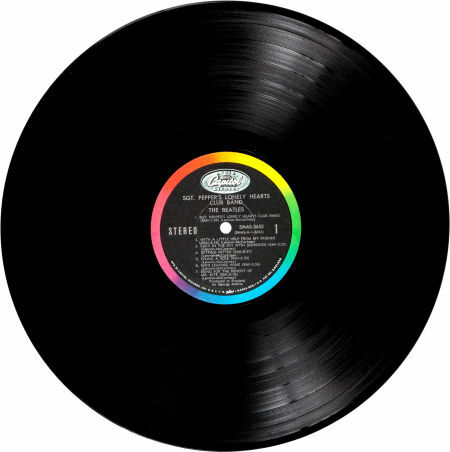 It was credited on the label to “Tony Sheridan & The Beat Brothers” because there was a stipulation in the contract allowing Polydor to use a different group name. They felt the name “Beatles” wouldn’t be readily accepted in the German market. Never-the-less, the group was making it’s very first professional recording for commercial release by an actual record label. 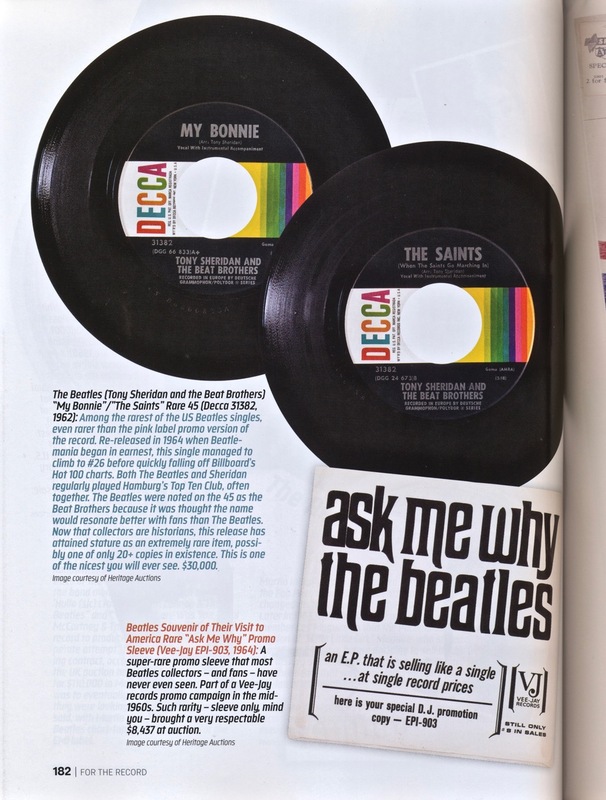 While ‘My Bonnie’ achieved only modest success in Germany, back home in Liverpool Beatle fans who knew about the recording began asking for it in record shops, including the store owned and managed by Brian Epstein. When he learned that the requests were for a local group, he paid a visit to the Cavern club to see what the fuss was about, and the rest is history…. 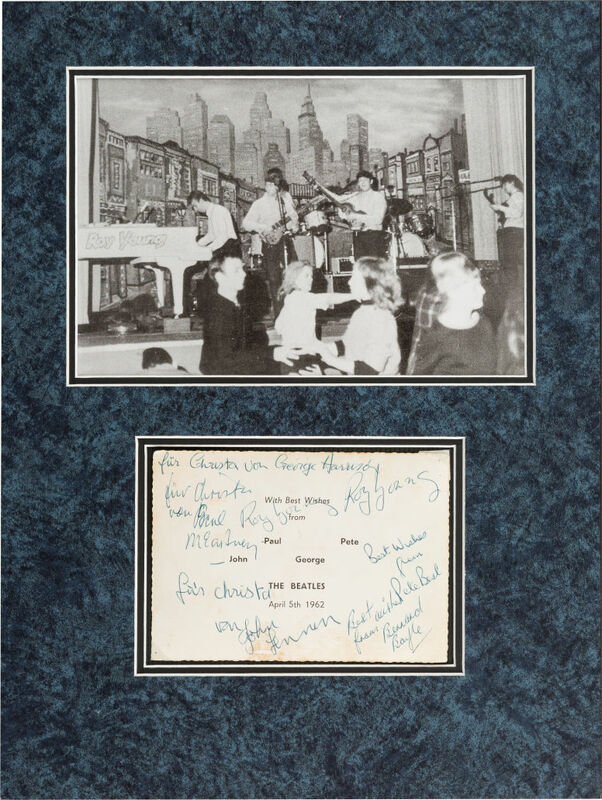 If you are into Beatle autographs – and you have very deep pockets – Heritage Auctions in the US has an original copy of the single ‘Love Me Do/P.S. I Love You’ coming up as part of their Entertainment and Music Memorabilia Signature Auction in September. The Heritage website says this is a genuine UK first pressing 45, and one of the first-ever signed Beatle records. The Beatles’ first single for EMI was released on October 5, 1962. The very next day they traveled the short distance from Liverpool to Widnes in Lancashire for a 4:00 official autograph signing appearance (the first of only three in their career) at Dawson’s Music Shop. 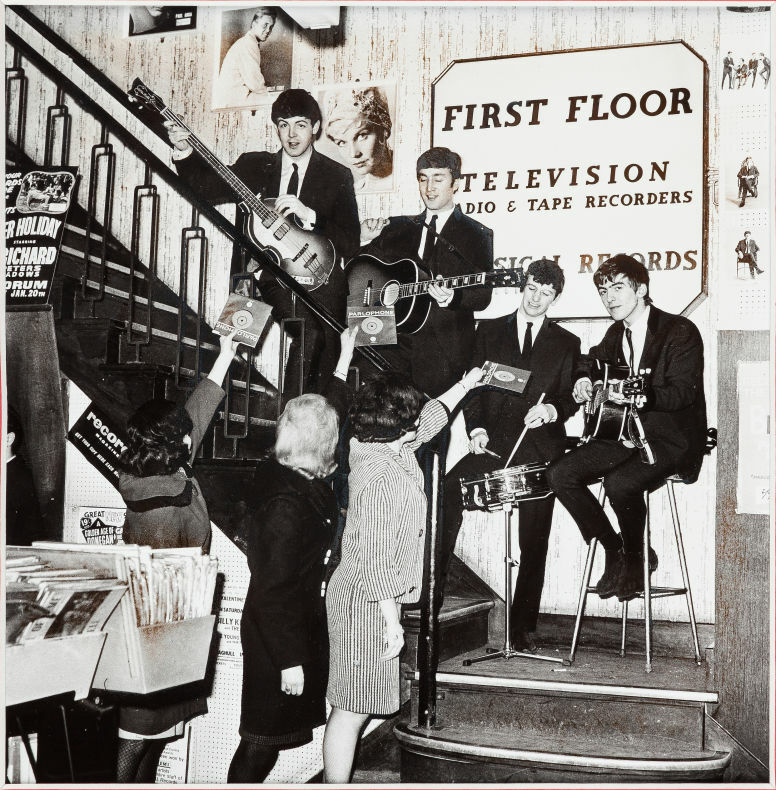 For thirty minutes, the Beatles signed copies of their brand new single for fans. This is one of the records signed that day, on the “B” side (P.S. I Love You) in black ballpoint. 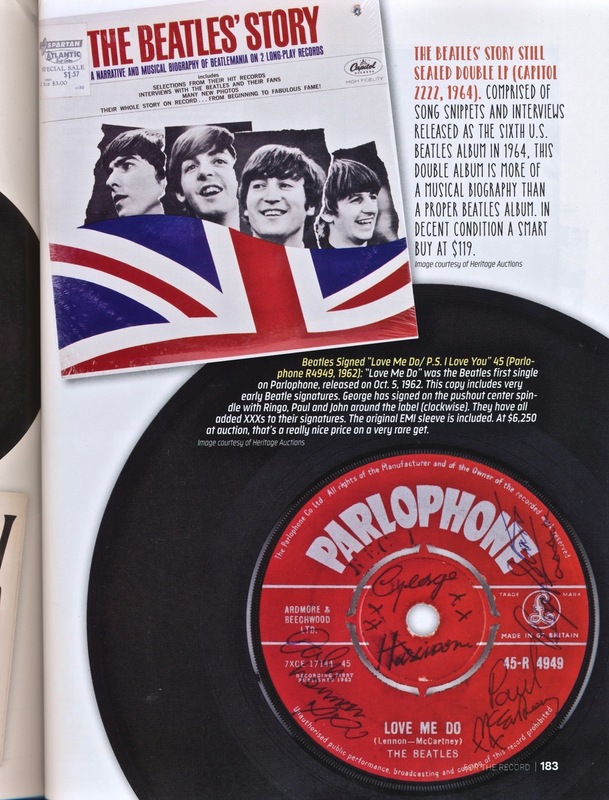 According to Bruce Spizer and Frank Daniel’s reference book Beatles For Sale on Parlophone Records the autographed disc for auction is one of the “few thousand” pressed for the October 5, 1962 release with the very first version of the record label. The main indication is that “the initial labels have the Ardmore & Beechwood publishing credit left-aligned and slightly indented so that the ‘B’ is above the ‘XC’ in the matrix number prefix 7XCE.” All the other “tells” match including the tax code pressed into the trail off area, being “ZT”. 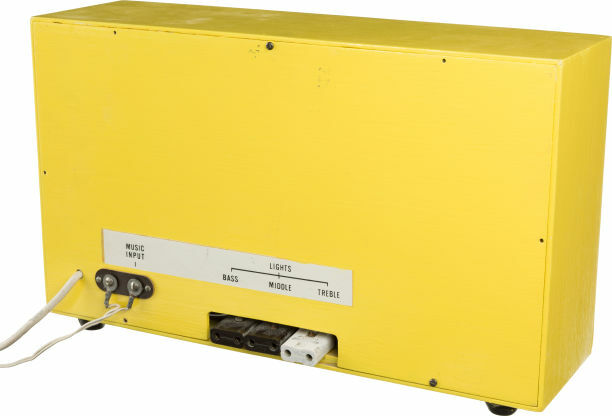 Bidding kicks of at US$5,000, and the disc is expected to fetch somewhere closer to US$10,000. 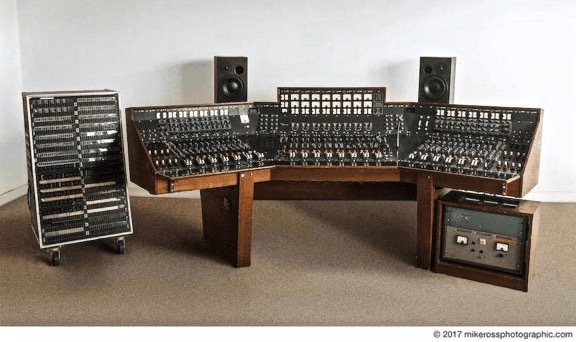 The record is just a small part of what is on offer – Heritage have gathered together roughly 300 lots from one of the biggest and most important Beatle memorabilia collections in the world – the Uwe Blaschke Collection. Remember this very rare and collectable copy of the Beatles Sgt Pepper which came up for auction? Well, it sold earlier today for US$24,375, plus a buyers premium of $8,125, bringing the total to $32,500: The reason it is so rare is that the cover features the faces of some forty Capitol Records executives rather than the original collage of celebrities. 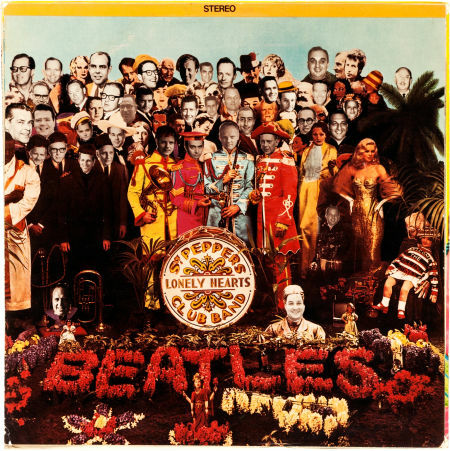 It’s believed only 40-50 copies were ever produced to be distributed at a Capitol Records conference, essentially one for each of the executives pictured. This particular copy belonged to Marvin Beisel, Capitol’s National Sales Director at the time, and one of the executives pictured on the cover. 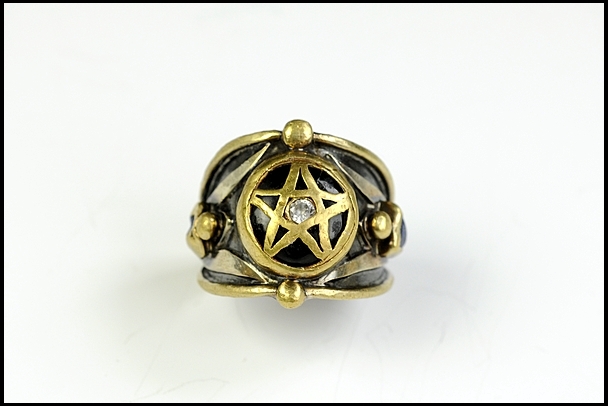 You can visit the auction house website (Heritage Auctions in Texas) for more.